I have been exploring what holds language learners back and what can be done to move forward so they can produce the outcomes that all of us are capable of, since I started this site, some 3 years ago. One issue I have skirted about but not dealt with head on is the issue of change. Changing beliefs, like the notion that there are talented language learners and then there are the rest of the population who will always struggle, is something most people are not prepared to invest much time in. Disempowering beliefs are too readily accepted, with results that are insidious and long lasting. There is more than enough evidence, from those who became polyglots later in life after struggling at first to learn languages, to suggest that anyone can learn languages. Of course such a change will not happen by itself. For it to happen, certain changes might need to be made, some practices dispensed with and others adopted. What I believe that holds many people back – is a reluctance to change, backed up by not fully understanding that the benefits of change will on most occasions take time to manifest themselves. So many people try something new, don’t get the results they thought they would get so they give up on it, before the changes have a chance to do their work. What has been said by many people who look at change is that most people don’t like change and resist it. Which brings me to the subject of this post. 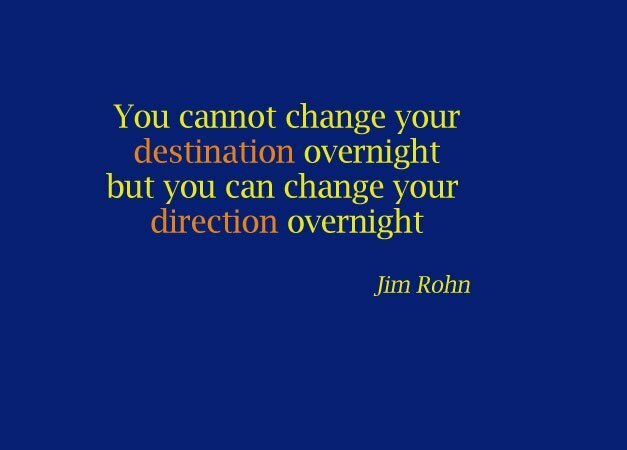 What are you doing to change what you do, so your results will improve? If you are a teacher, I would suggest that you need to see for yourself how ideas work before you can teach them effectively. It does not mean you need to learn language from beginning to end, but you do need to see for yourself how these things work in your own life. Otherwise your teaching will be based on your ideas, rather than on experience. Experience is what brings the kind of learnings that the intellect can never bring. So let’s look at change and what you can do to make it easier for yourself. Language learning is not just learning something and that’s it. Whatever you learn, be it a sound, how to say an idea or express an emotion requires you to adjust what you have learned and then change it some and then again until it starts to be understood. A lot more of this kind of work needs to be done before it starts to approximate “native like”. Language learners who become native like are the one who embrace change and accept the need to keep looking for what they do to get closer, and closer. The ones who struggle, don’t. They struggle with change, maybe resist it and ultimately don’t take it on board as a way of “living”. I want to look at change by posing a number of questions below as a way of bringing to light certain keys to helping people to embrace change and accept it as a modus operandi. 1. Why would you want to change what you do? 2. What do I want to achieve by changing? Generalised aims can help, but ultimately we need specific and measurable aims. Then we can see if something has changed. 4. How have I done this in the past? Reflect on this to see. Becoming clear about what you currently do is an important step. We can’t accept what we don’t see or recognise. So this is a key step. 5. What am I going to do to achieve my new goal? You need to find a strategy that you will use. Be as clear as you can be. Some people might prefer to write it down, that way it is harder to misinterpret things later on. How you go about learning and practicing what you learned is crucial to your success. Whatever you choose, you need to stick with it to give you a chance of reaping the rewards. Persistence is critical but if you are not working in a way that you find invigorating, challenging or fun, you will most likely give it away. 6. What is my criteria for achieving it? 7. What will I do if I don’t achieve it? A key is to keep the goal you set yourself alive. Do whatever it takes to reinvigorate it. Without you being committed to its attainment and doing what is necessary, change will not happen. If things aren’t going the way you expect ( and why would they! 🙂 ) see if you can tweak something. A key as was just said is to persist, BUT we need the “juice” to stay alive in front of the problem, not just lifelessly going through the rituals. When your mo jo starts to wane, recognise that something needs to be amended, tweaked, dropped or taken on to get it back!! 8. What will I do if I achieve it? Where to next? Having a long term goal will help keep you on target once you achieve your short term goals. I have provided here some markers or signposts that I have seen are important for people who want improvements and see change as a key element in the process. Of course there may be other issues that come up and help you along or hold you back, but a reluctance or perceived inability to change what you do is what anyone who seeks success in anything needs to face. The clearer you can become about how you can orchestrate change, the more likely you are to achieve the success you seek.